Accolades for an English musician don't come more exotic than a description of Chris Barber as the "Bix Beiderbecke of British-style jazz" – this, from the pen of musicologist David Boulton back in 1958. Not that this kind of plaudit about Barber is confined to the past, nor to the jazz world. 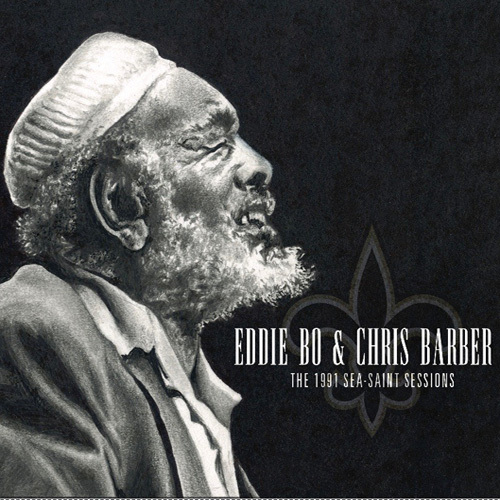 Blues-Rock Explosion published in 2001 states that, "Chris Barber, Alexis Korner, Lonnie Donegan and Cyril Davies ...were the real founding fathers of what became the British 1960s blues-rock explosion." Both of these quotes expose an obscured truth about Barber and his Jazz and Blues Band: namely, that without the man who celebrates nearly seven decades as a pro band leader, not only would British trad jazz have taken many more years to evolve – but also the British blues and rock scene would not have exploded in the way that it did. London’s Marquee Club is linked to the rise of bands such as the Who, Rolling Stones and others. In actuality, it started out in 1958 as a jazz club in which Barber, as a founding director, pooled his music business experience alongside the Marquee's owner (and seasoned jazz promoter) Harold Pendleton. As well as establishing the Marquee, the pair initiated the National Jazz & Blues Festival in 1961, which eventually grew into the Reading Rock Festival. Jazz caught on very fast in Britain during the late 1940s and early 1950s; its live presentation was energetic and entertaining compared to 1940s dance bands, whose players were catatonic by comparison, mostly seated and hidden behind music stands. One of many trad bands that emerged alongside Barber's then amateur outfits (called the New Orleans Jazz Band or Chris Barber's 'Washboard Wonders' when he was playing string bass) was the Crane River Jazz Band, featuring clarinetist Monty Sunshine and trumpeter Ken Colyer. Along with banjo player Lonnie Donegan (plus Jim Bray on bass and tuba, and Ron Bowden on drums), these were the musicians who eventually teamed up with Chris Barber in 1953. Chris now remembers taking the big step to go pro, "At the time Monty was leading the last remnants of the Crane River Jazz Band. His band, like my band, was playing once a week and the trouble with that is you never learn from the mistakes you make onstage because a week later you've forgotten you made them. So, we thought, this is stupid – the only way to progress was to pool our resources and play the music professionally." With Sunshine, Donegan, Bray and Bowden, the first Barber band was born, and its instrumentation did not feature either piano or trumpet – largely because they didn't know one of either who really shared their aim of becoming professional, but as Chris explains: "Without piano and trumpet, the rhythm section is more exposed and obviously this influences not only the band's sound but also the arrangements." So as band leader, Barber was drawn to material such as George Lewis's "Ice Cream" and records by the Mezz Mezzrow-Tommy Ladnier Quintet, as well as adapting standard material by King Oliver, Louis Armstrong, and Jelly Roll Morton. Early on, twenty-three-year-old trumpeter Pat Halcox joined for a short spell before having to resume his studies. His departure came right around the time that Ken Colyer returned from his infamous seaman's holiday to New Orleans, and Barber wrote to Colyer inviting him to join. (Ken's trip had earned him crowd-pulling kudos– he jumped ship from the merchant navy in New Orleans and there shared the stage with American legends such as George Lewis before visa problems got him banged up in jail and then deported.) Regular appearances at hot venues such as the Bryanston Street Jazz Club near Marble Arch soon gave this outfit a big following – they were known as Ken Colyer's Jazzmen—but not for long. Within a year Colyer's drinking and volatile temperament brought tensions within the band to busting point; a bid by Ken to sack the rhythm section backfired – because the band was run as a co-operative – and instead it was the hapless trumpeter who found himself left out in the cold and without a gig. 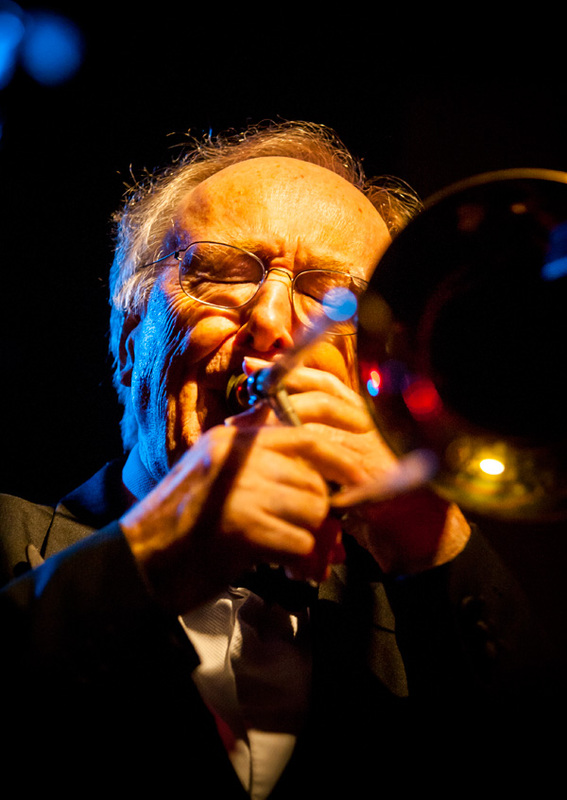 Pat Halcox re-joined – this time for good – and the distinctive sound and musicianship of this, the original Chris Barber Jazz Band, can be best heard on the 1955 album Echoes of Harlem. It was this early version of the band that catapulted banjo and guitar player Lonnie Donegan to stardom as a solo artist: Donegan recorded his first version of "Rock Island Line'" with Chris's band as part of the first LP recording, New Orleans Joys, in July, 1954, a couple of years before it was released as a single in 1956 and then became the hit that augured the skiffle craze. Skiffle was mostly mocked by trad jazz purists, but this never deterred Barber from giving it a slot in his show. Donegan was replaced by Dickie Bishop on banjo. Vocalist Ottilie Patterson also proved to be a big asset to Barber's show, especially so her engaging duets performed with visiting American gospel blues diva, Sister Rosetta Tharpe, in the late 1950s. In the early 1960s skiffle and trad jazz were eclipsed by the beat group boom – which skiffle had helped to bring about in the first place. Barber remained unshaken: his own BBC programme Trad Tavern kept up his profile and meant he played along with a wide range of guests such as Joe Harriot, Archie Semple, and Tony Coe. Ian Wheeler – who replaced Monty Sunshine – and electric guitarist John Slaughter updated Barber's sound. It was also during the 1970s that Chris explored Balkan folk music with its lilting and asymmetrical rhythms, and his composition 'Ubava Zabava' fused it with the blues. Other 1970s shows included tours with John Lewis and Trummy Young, memorialized on Swing is Here, as well as Russell Procope and Wild Bill Davis. Most notable during the 1980s was Barber's "Take Me Back To New Orleans" tour with Dr John, as well as a collaboration with the East German State Radio Concert Orchestra in Berlin that featured orchestrations of New Orleans material. In 1995, Barber staged a skiffle reunion UK tour with Lonnie Donegan and Dickie Bishop as special guests, in addition to several tours of the reunited 1954 band with Monty Sunshine and Lonnie Donegan. Chris Barber and members of Bob Hunt's Ellingtonians regularly performed Duke Ellington's music and so Chris began incorporating the extra three musicians into parts of the band's normal varied repertoire. The results were so exciting, that the band all felt there was no alternative to permanently becoming an 11-piece band. This new band originally toured and recorded as The First Eleven on 2001. In 2003, the First Eleven recorded again, mainly in Jools Holland's London studio, and for many years hence, the outfit known as the Big Chris Barber Band was in constant demand on the road playing to full houses. 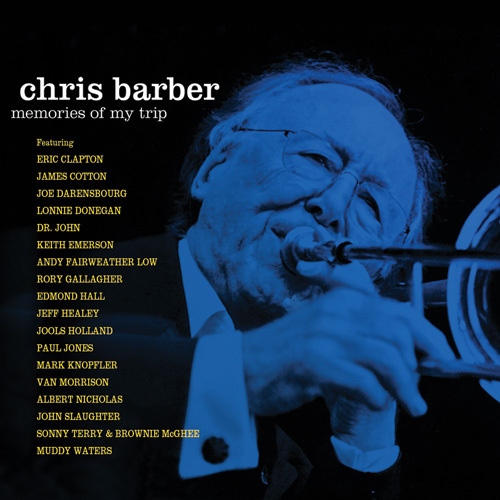 Memories of My Trip is a two-CD set retrospective celebration particularly rich in terms of Barber's blues connections, with Brownie McGhee remembering highlights of his tour with the band, and examples of Chris’s collaborations with Muddy Waters and James Cotton. The Barber band toured with many a gospel singer, too, and Professor Alex Bradford hones the band’s singing skills on this collection. There are home-grown blues connections, starting with the band’s own long-term singer Ottilie Patterson, plus Rory Gallagher and Paul Jones, as well as featured performances by Eric Clapton, Mark Knopfler and Van Morrison. One reason why Boulton drew a comparison with Bix Beiderbecke back in 1958 was because he felt that in less than ten years as a band leader Barber's "imitation developed until it could exist in its own right. "He continued, ..."Whether or not this British style will eventually be considered of any permanent value is for a later generation to decide." Seventy years on, it looks like they have decided. “Memories of My Trip” is a remarkable two CD retrospective celebrating the pioneering Barber's“A” list jazz, blues and gospel collaborations throughout his seventy-years asa band leader. It opens with Brownie McGhee remembering highlights of his early tour with the band. The whole set is crammed tight with fine examples Chris recording with Eric Clapton, James Cotton, Sonny Terry &Brownie McGhee, Ottilie Patterson, Lonnie Donegan, Keith Emerson, Andy Fairweather Low, Rory Gallagher, Edmond Hall, Jeff Healey, Jools Holland, Paul Jones, Mark Knopfler, Van Morrison, Dr John, John Slaughter, Albert Nicholas, Muddy Waters and others.